One of the great things about creating a membership is that you can streamline #allthethings (operations / content / marketing / sales / etc) under one main offer. When I sold courses and digital products, my marketing was very launch-centric and I would plan my marketing calendar around webinars, launches, and strategic partnerships. Now that my focus is on marketing just ONE thing, I'm NEVER in launch mode. 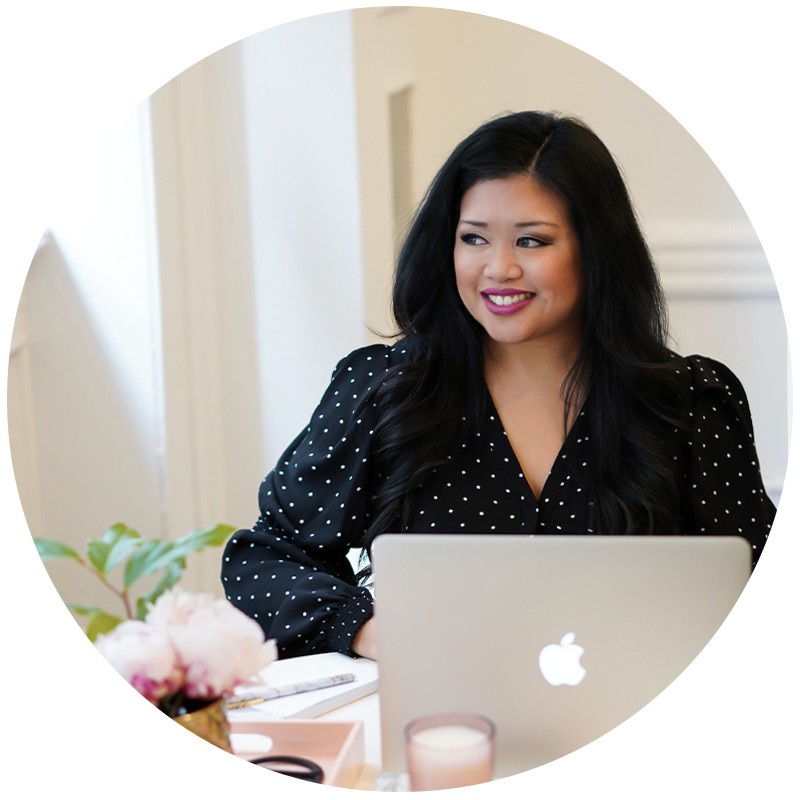 There are no crazy ups and downs (with the exception of our big semi-annual sales) – instead, we're just in steady growth and maintenance mode year round which means I'm wayyy less stressed. And because I'm focused on selling only ONE thing, my marketing is super focused as well. I plan my biz quarterly and, in each quarter there are three months, so each month we focus on one of three things: 1) increasing leads 2) increasing conversions 3) increasing value. 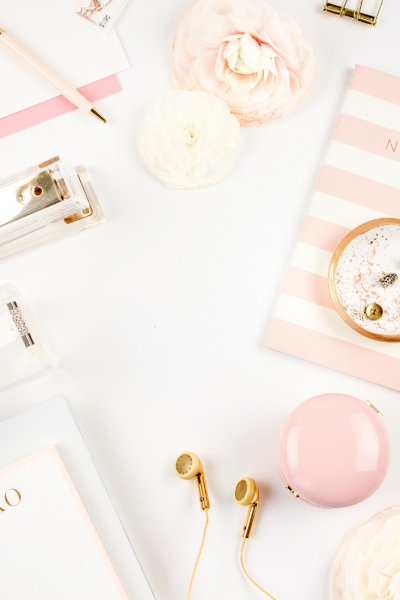 For example, in months where we're focused on increasing leads, that might mean focusing on our affiliate marketing strategy or stepping up our Pinterest promotions. In months where we're focused on increasing conversions, that might mean working on sales funnel copy or optimizing our sales page design. And in months where we're focused on increasing value, that might mean creating bonus resources for our members or other special promotions. The point is, we're focused on doing ONE thing better at a time to market and grow the Styled Stock Society membership. So that's the big picture overview of our membership marketing strategy but when it comes to specific implementation we have a number of different marketing systems + processes that are constantly running in the background (and are also constantly being tweaked + optimized as needed). There are 3 main marketing tools that work in conjunction to grow our membership each month. These are the 3 things that work on autopilot to grow the Styled Stock Society membership – so even if we're not doing any active marketing or promotions, even if I take a full month off from work because I'm in the hospital or on vacation or sitting on my couch watching Bravo, we still attract new members every. single. month. Obviously for people to become Styled Stock Society members, they need to know that the Styled Stock Society exists and somehow make their way to our website where they can join. Our main content platform is our blog however, we repurpose content for emails and social media posts as well. 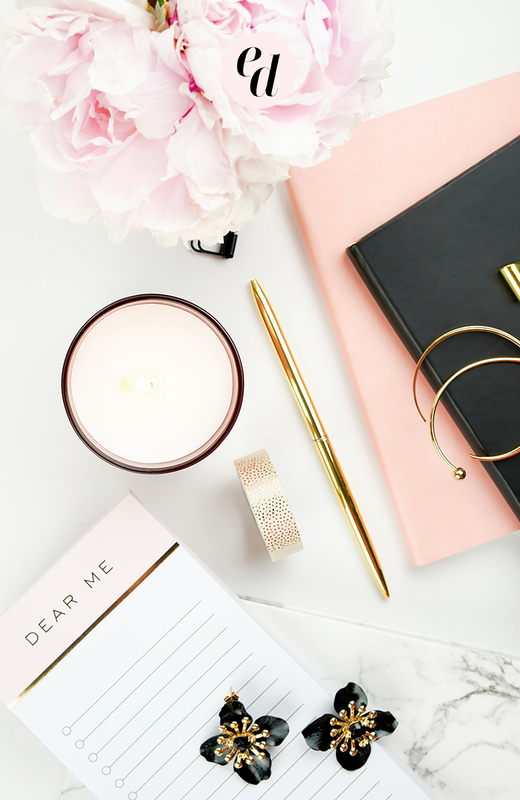 While in an IDEAL world we'd be blogging regularly, sending weekly emails, and showing up on social media every single day – the reality is that doesn't always happen. But here's the thing – even when we've gone months without publishing a new blog post we still see traffic growth and new membership signups because we're constantly sharing and re-sharing old blog posts. We use Tailwind to automate sharing on Pinterest and SmarterQueue to automate sharing on Facebook and Twitter so that we're always getting new eyes on our content (even if the content itself is old)! So yes, best case scenario you have a set schedule for creating new content to market your business and you show up regularly to share, promote, and connect with new people… but even if you can't commit to creating some form of new content regularly (blogging / vlogging / podcasting / etc. ), you can still create 5-10 value-filled pieces of content that you can repurpose, re-share, and use to grow your membership. Consistency is (almost) always better, but don't let the fear of being inconsistent hold you back from creating anything at all! Once we've actually gotten people to our website via our content marketing strategies, some people may take the time to learn about our membership and join right away, but more often it takes people a little bit more time to get to know us and what we have to offer before they invest. So, in the next part of our funnel, we want them to take the next step and get on our email list. 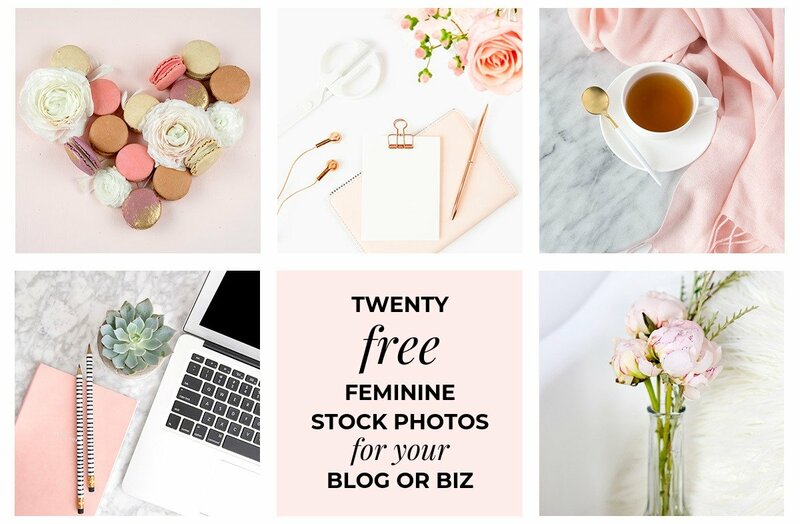 We have a number of opt-in offers, but our main lead magnet is a set of 20 free stock photos which we give away in exchange for email addresses. After a new subscriber downloads these free stock photos, they then get an automated email sequence which helps them understand how they can use stock photos for their business, why investing in a stock photography membership can help them grow their business, and how our current members have been able to save time + money by investing in a Styled Stock Society membership. We also use this automated email sequence to share more details about what's included in the Styled Stock Society membership and answer any potential questions someone might have about joining. So essentially this part of our funnel helps us build the “like/trust” part of the know/like/trust factor – and because it's automated, it's constantly working (even when I'm not). Last but not least, we also have a Styled Stock Society affiliate program through which we offer a 25%+ commission in exchange for our affiliates referring new members. We have an automated sequence that invites our members to become affiliates and then an automated sequence set up so that our affiliates are armed with helpful tips for how they can promote their affiliate links as well as done-for-them promo graphics and swipe copy to help make it as easy as possible for them. Because this part of our marketing really relies on our affiliates to do the “hard work” by building trust with their audience, this is a relatively passive marketing strategy that allows us to get in front of new audiences every day. 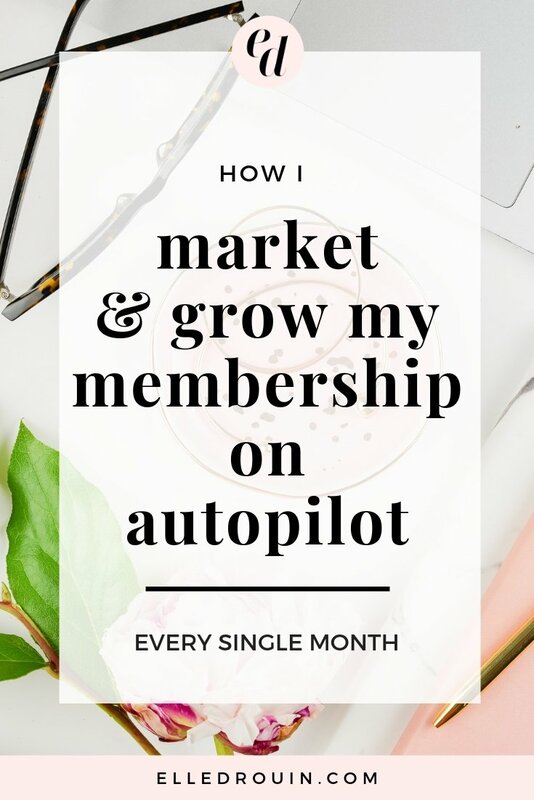 So those are 3 ways I market and grow my membership on autopilot every month. 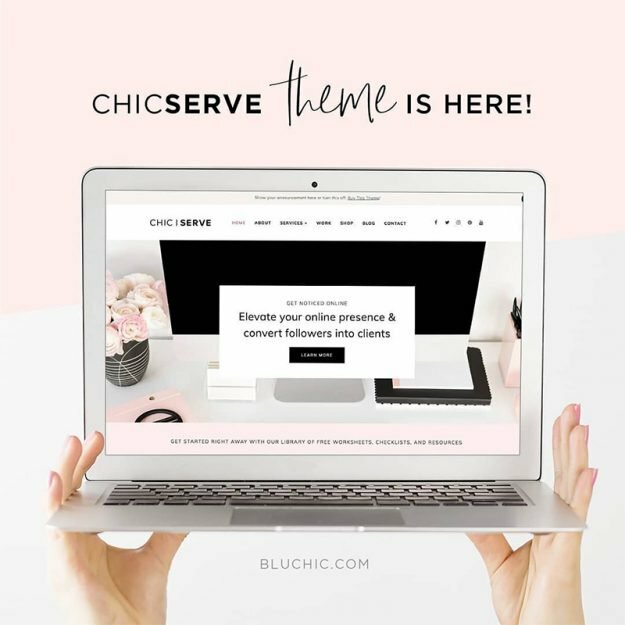 While these strategies are mostly “passive” after the initial set up, there are definitely other more “active” strategies that we use more tactically to market and grow our membership like collaborations, special promotions, and press features – but I'll share those in a future blog post!